In November 2017, I had the honour of being elected Chair of the thirty-fourth session of the Intergovernmental Working Group of Experts on Standards of Accounting and Reporting. 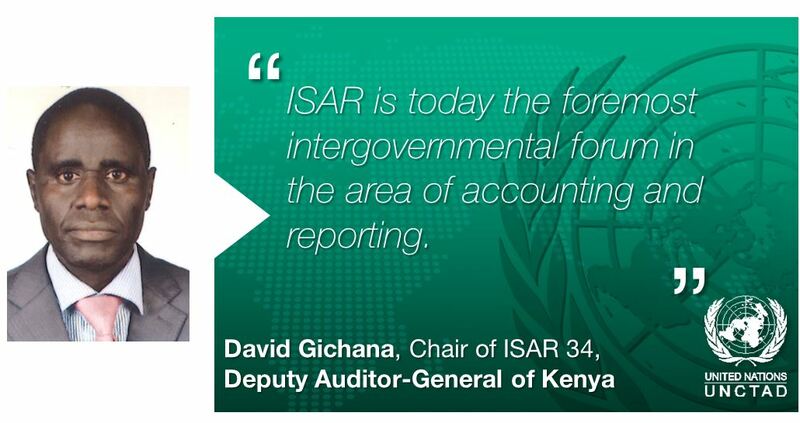 As the foremost intergovernmental body in the area of accounting and reporting, ISAR facilitates discussions among leading policy-makers, standard-setters, accounting practitioners, academia and other stakeholders. It is unique insofar that it provides an inclusive forum, serviced by the United Nations Conference on Trade and Development (UNCTAD), and benefitting from an unparalleled network of engaged, constructive and enthusiastic experts. Only by working together and sharing best practice can we fully harness the potential of accounting and reporting to fulfill its goals in promoting transparent and accountable markets, enabling financial inclusion, and fostering sustainable growth and development. It is my pleasure to open this newsletter, which provides information on ISAR’s recent events and achievements, as well relevant news briefs from the accounting and reporting community. I would also like to use this opportunity to invite the entire ISAR network to take note that the thirty-fifth session of ISAR will take place in Geneva from 24 to 26 October 2018. Discussions considered recent developments on financial and non-financial reporting, and their implications for sustainable development and investment decision-making. Some of the issues raised during the session included the role of reporting in addressing climate change, UNCTAD’s project on selecting core indicators for company reporting on the Sustainable Development Goals, and current challenges to the harmonization of risk disclosures in corporate reports. Speakers from organizations such as the International Accounting Standards Board, the International Federation of Accountants, the World Bank, the International Integrated Reporting Council and the Principles for Responsible Investment initiative, as well as from national and regional regulatory authorities, shared their perspectives on these matters and contributed to high-quality dialogue. ISAR also provided a forum for follow-up on UNCTAD’s technical assistance initiatives, such as the Accounting Development Tool (ADT). Furthermore, through Development Account project “Supporting developing country policy makers in the formulation of national entrepreneurship policies through the implementation of Entrepreneurship Policy Frameworks”, UNCTAD provides senior Government officials with capacity-building in the area of accounting for microenterprises and small and medium-sized enterprises (MSMEs), in order to foster financial inclusion and literacy. To this end, UNCTAD has held regional workshops in Africa and in Latin America with leading stakeholders in the area of accounting for MSMEs. At ISAR 34, regional workshop participants shared their experiences with the wider network of ISAR experts. As part of the agreed conclusions, the Group of Experts called on the UNCTAD secretariat to advance its work on sustainability reporting and the selection of core reporting indicators aligned with the Sustainable Development Goals, as part of a guiding document to be compiled during the intersessional period. The second main agenda item for next year’s ISAR session will be on issues of practical implementation of international standards of accounting and reporting in the public and private sectors. The Group of Experts also requested the UNCTAD secretariat to continue to facilitate sharing of good practices in the area of risk disclosure; and to continue updating the Accounting Development Tool. The final report of the thirty-fourth session of ISAR was presented by the elected Chair, Mr. David Gichana, at the ninth session of UNCTAD’s Investment, Enterprise and Development Commission, which took place from 20 to 24 November 2017, in Geneva. In addition to the conference, a one-day technical workshop on practical issues in the implementation of International Public Sector Accounting Standards (IPSAS) was held on 31 October. The morning panel discussed recent developments and key lessons learned in the practical implementation of IPSAS, including the impact of recent changes to its conceptual framework. The afternoon panel focused on country-level practical implementation challenges, such as the transition from cash-based to accruals-based accounting, the timely publication of financial statements by Governments, and issues in consistency between public sector financial reporting, systems of national accounts, and Government Financial Statistics systems. The workshop greatly benefited from interventions made by speakers from the IPSAS Board, the Chartered Institute of Public Finance and Accountancy, the International Federation of Accountants, the Association of Chartered Certified Accountants, as well as national regulatory authorities and other relevant stakeholders. Furthermore, the week included an ad hoc meeting of ISAR’s elected formal members to discuss agenda items for the upcoming sessions of ISAR. Additional information on the ISAR session and workshop, including programmes, background documentation, speaker presentations, photos and the final report can be found on the ISAR website. 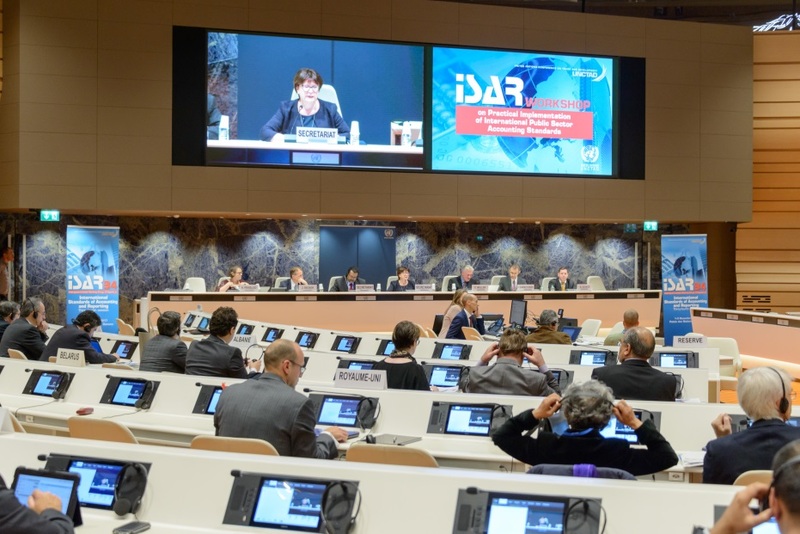 The thirty-fifth session of ISAR will take place from 24 to 26 October 2018 at the Palais des Nations, in Geneva. The session will be held in the context of the 2018 World Investment Forum, UNCTAD’s biannual forum on investment and development. Information about participation, the programme and will be circulated with the ISAR network in due course. As an Intergovernmental Working Group of Experts established by the United Nations Economic and Social Council, ISAR has a formal membership of States interested in helping shape its agenda and activities. Member States from all regional groups are encouraged to apply for formal membership in ISAR. The regular cycle of ISAR elections will take place on 16-18 April 2018. Note that ISAR membership carries no financial obligation of the part of member countries or UNCTAD. Additional information about requirements and the application process can be found here. UNCTAD is also constantly working on extending its outreach to government officials, professional bodies, international organizations, private sector and other experts involved in the area of accounting and reporting. To this end, UNCTAD relies on you to keep us abreast of any updates to your contact information. If you are not already part of the ISAR network and would like to join for updates on ISAR’s meetings, events and activities, please complete this on-line ISAR Network form. 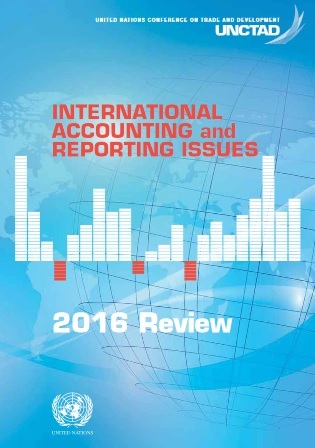 We are pleased to announce the publication of the 2016 edition of UNCTAD’s Review of International Accounting and Reporting Issues. 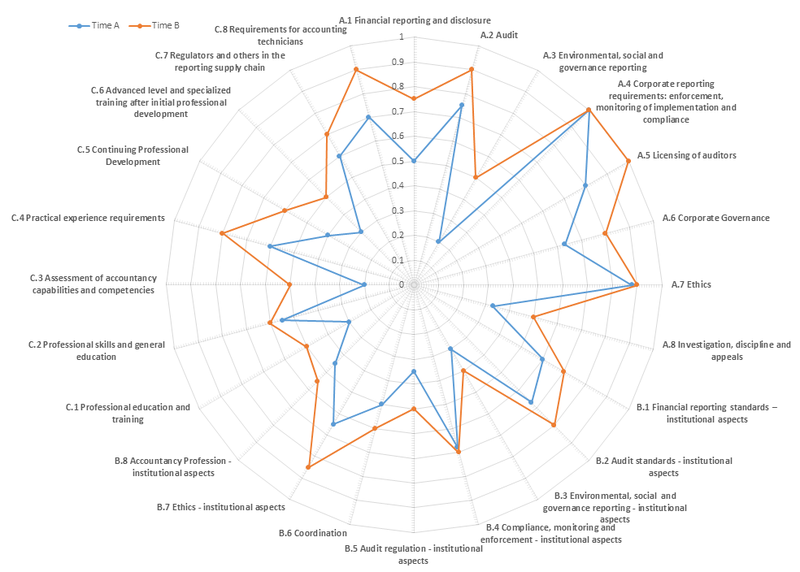 This Review discusses research in the interrelated areas of sustainability reporting, monitoring of compliance and enforcement, and good practices on the implementation of international audit and assurance standards, within the context of the contribution of accounting to capital formation and sustainable development. In particular, the Review includes chapters on UNCTAD’s work in the area of harmonization of sustainability reporting, and on case studies on the practical implementation of compliance monitoring and enforcement mechanisms in Singapore and in selected countries in the European Union. UNCTAD is in the process of finalizing the implementation of its landmark capacity-building initiative, the Accounting Development Tool (ADT), in Colombia and the Russian Federation. UNCTAD continuously welcomes requests from member States to implement the ADT, subject to funding availability. The ADT allows countries to assess their national accounting infrastructure in light of international best practice, and therefore provides valuable inputs in terms of policy-making, institutional development, and consideration of international norms and codes. In Colombia, ongoing implementation of the ADT has promoted dialogue among different entities that play a role in accounting regulation, and enabled national stakeholders to assess the national accounting infrastructure in light of international standards. The Russian Federation, which presented its third round of ADT implementation, showed progressive advancements in the alignment of national policies with international best practice. It was noted that the ADT gives countries the opportunity to understand strengths and areas with room for further development. Below is an example of the ADT final graphical output with multiple rounds of tool implementation. Beneficiary countries are invited to share their experiences and to provide UNCTAD with inputs for tool development. This year, in addition to Colombia and the Russian Federation, delegations from Côte d’Ivoire and Ukraine shared their experiences on impacts of ADT implementation. In this light, UNCTAD is currently carrying out a revision of the ADT in order to ensure that member countries have access to cutting-edge comparators. As part of its continuing cooperation with UN Environment, UNCTAD took part in the regional workshop organized by UN Environment and the Economic Commission for Latin America and the Caribbean (ECLAC), held in Santiago, Chile, on 9-10 November 2017. The workshop convened senior Government officials and other relevant stakeholders from Latin American countries, as part of UN Environment’s Development Account project “Enhancing Capacities to Manage Information from Corporate Sustainability Reporting in Latin American Countries”. Additional information about this event can be found here. The outcome of this event will provide useful inputs towards developing a metadata guidance on SDG indicator 12.6.1 Number of companies publishing sustainability reports, which is being jointly developed by UNCTAD and UN Environment as co-custodians of this indicator. The International Federation of Accountants (IFAC) published on 10 November 2017 its new report on “Professional Accountants as Business Partners and Value Enablers”. The document disseminates information compiled by IFAC’s Professional Accountants in Business Committee, covering the areas of enterprise performance management, the role of finance leaders and business partners in technology, and effective accountant involvement in risk management. The report also elaborates on topics such as integrated reporting, audit quality, professional skepticism, and tools for the support of Professional Accountancy Organizations. Further information on the press release can be accessed by clicking here, and the full report is available on this link. On 19 September 2017, the International Integrated Reporting Council (IIRC) and ICAS unveiled a new report on integrated thinking and the Sustainable Development Goals (SDGs). The report is authored by Dr. Carol Adams of Durham University, and has been published in partnership with the Green Economy Coalition. Among others, the report devises a new approach for companies looking to contribute to the achievement of the SDGs, while mitigating corporate risk and addressing new business opportunities. The paper considers the IIRC’s multi-capital framework, ponders the meaning of value creation in this new context, and encourages companies to put integrated thinking and the SDGs at the heart of business strategy. The United Nations Global Compact and The Global Reporting Initiative (GRI), as part of their partnership Action Platform for Business Reporting on the SDGs, published on 21 September 2017 their first outcome publication. “An Analysis of the Goals and Targets” provides an expansive overview of existing and established disclosures in the area of sustainability information, in alignment with the SDGs. The document profiles such disclosures in a way that seeks to establish comparability among existing frameworks, while listing actions that businesses can take to make progress on SDG reporting. UNCTAD, as part of the project’s Multi-stakeholder Advisory Committee, provided inputs and continues to work on upcoming deliverables of the Action Platform. On 29 June 2017, the Task Force on Climate-related Financial Disclosures (TCFD), established by the Financial Stability Board, published its final recommendations report. Building on extensive public consultations, the report highlights recommendations in the areas of governance, strategy, risk management, and metrics and targets to take into consideration the impact of climate change on global financial markets. Since its publication, the report and its voluntary recommendations has gathered support from Chief Executives in the private sector, investors, regulators, and civil society organizations pushing for enhanced disclosure in the area of climate-related risks. A broad range of reactions to the TCFD’s recommendations has been compiled by NDCi.global, available here. The International Organization of Securities Commissions (IOSCO) hosted its first World Investor Week from 2-8 October 2017, in Tokyo, Japan. Throughout the week, securities regulation officials and other investment stakeholders from more than 80 countries engaged in discussions, workshops and conferences, revolving around the topics of investment protection and education. In particular, participants were invited to discuss issues in financial literacy, investment by young people, and the importance of shaping capital markets in an increasingly interconnected and digitalized world. More details about the event are available here. The CFA Institute and the Principles for Responsible Investment (PRI) initiative announced on 27 September 2017 that the two organizations will provide 20 global workshops for professional investors in the area of environmental, social and governance (ESG) information in company reporting. The workshops intend to provide information about how ESG factors can be incorporated into financial analysts’ decision-making. It builds on the two organizations’ previous research on ESG relevance for equity and credit analysis. The CFA Institute and PRI will also be publishing an ESG survey in 2018. For additional information on the workshops, including their schedule in 2017 and 2018, please click here.